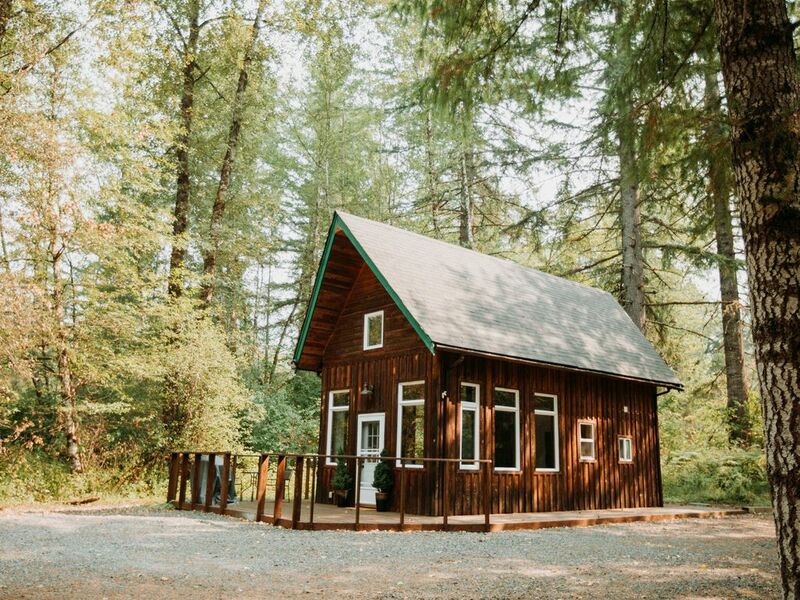 Hera's Chalet is located a short ten minute drive to Mount Rainier National Park. Built on a secluded lot in a quiet neighborhood you will find tranquility in your wooded getaway. A greenbelt out back gives you tons of privacy and makes for a great space to sit back, relax a watch the wildlife. This is a one bedroom/one bathroom cabin that's cozy and warm. Stocked full of all the amenities you may need, we want this to be your favorite getaway spot. Awesome place!! Wish I could give it more than 5 stars! We had a great time at this quaint place. The area was quiet and it felt like we were alone in the woods. The chalet was extremely clean and well furnished. We were greeted by a doe and her 2 fawns when we arrived. Love everything about this place. The cabin was perfect! Warm and inviting. We had everything we needed for a comfortable stay. Highly recommended! Loved our stay. It was perfect and very close to Mt. Rainier. Clean and private!! We would stay again. We needed a place to stay for our friends wedding. It was perfect! Just the right size for a weekend get away. Would definitely recommend. A great cabin close to hiking and good eating...we loved our stay!